I was brought in by AllofUs to lead the team to create a series of interactive exhibits for MAST, a new cultural institution that focuses on art, technology and innovation, established by industrial solutions group Coesia in Bologna, Italy. We were asked to create three exhibits for the Industrial Focus Area to explore and celebrate the innovations in electro-mechanical engineering and motion. As the creative interaction lead, I worked as a bridge between the Design, UX and technical teams, shaping the three concepts ready to present to the client in Bologna. 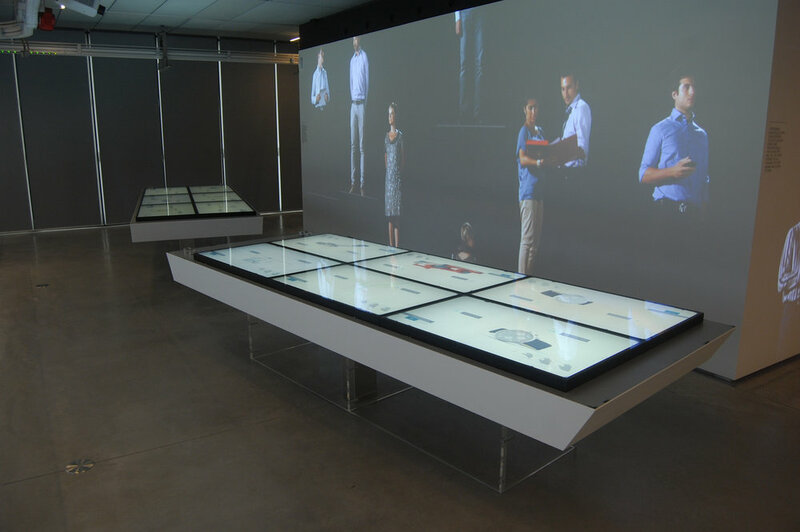 Each Interactive takes visitors through a different engagement that starts with MOVE IT, a truly interactive journey that allows visitors to design different gears through multitouch and object recognition. WRAP IT allows visitors to be a chocolate manufacture, wrapping the chocolates to meet consumer demand in an engaging multiplayer experience and "Design It" demonstrates the complexities and dependencies when designing a complete packaging system.